Swedish sister alt-country/folk duo First Aid Kit are releasing a new album, Ruins, on January 19, 2018 via Columbia. Now they have shared a video entitled "Postcard (Live From the Rebel Hearts Club)." 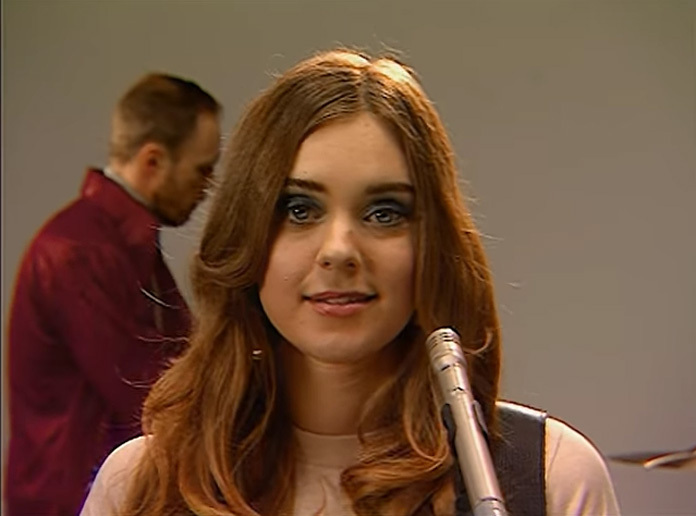 It features the previously shared Ruins track "Postcard" as performed with their backing band in a studio as if there were in a 1970s TV studio. Watch it below. The duo previously shared Ruins track "It's a Shame," as well as a video for the song inspired by the Gwyneth Paltrow romantic comedy from 1998, Sliding Doors. Plus there was a lyric video for "Postcard" and another lyric video for "Fireworks." Then there was a full-on video for "Fireworks" that featured the sisters attending, dancing, and performing at a 1980s prom, complete with big hairdos and vintage prom dresses.